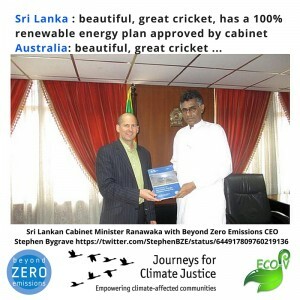 In September 2015, JCJ sent a technical expert to Sri Lanka to link wit h environmentalists, experts, NGOs, government and industry leaders to empower them to bring about 100% renewables. 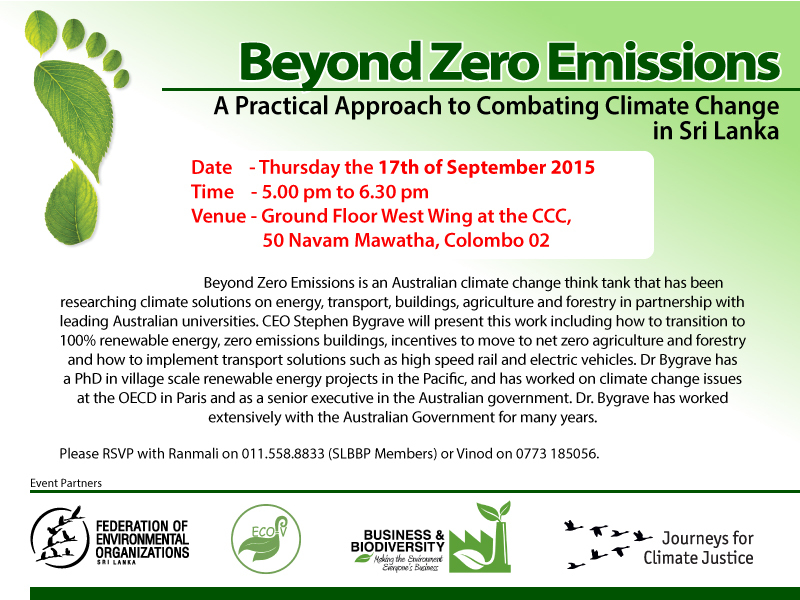 Our expert is Stephen Bygrave, CEO of Beyond Zero Emissions (BZE). BZE research has demonstrated how Australia can reach 100% renewables. 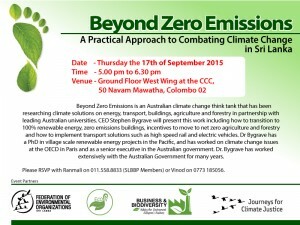 In Sri Lanka Stephen explained this research to demonstrate the practical feasibility of a no-coal pathway for Sri Lanka. In Sri Lanka, Stephen attracted great publicity in mainstream media, and empowered some wonderful people, as was the case with our previous projects in Sri Lanka. 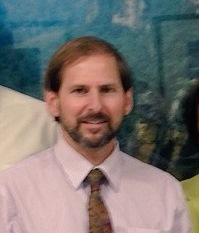 His main speaking event was hosted by the Federation of Environmental Organisations and the Chamber of Commerce. One-on-one, he met with a Government Minister, the Country Head of IUCN, a representative of the Climate Change Secretariat, and Dr. A.T Ariyaratne the founder of Sarvodaya (the largest NGO in the country). At grassroots level, Stephen met many ordinary Sri Lankans, and climate activists – and he joined them again on the last day of his trip on a one day Journey around Colombo organised by ECO-V to highlight climate change and protection for Mother Earth. This day involved a big public rally as well as visits to temples, shrines and churches (Stephen is pictured bottom right in this photo). JCJ and BZE are keen to take the BZE research to other countries in Asia, particularly the big coal importers of India, China, Japan and Korea. In 2016, our focus is on raising the funds to make this a reality. For the Sri Lankan trip, JCJ paid for Stephen’s airfare, and expenses. He was hosted by Eco-Friendly Volunteers (ECO-V), the group that has partnered with JCJ since 2015. Go to the Donate page or email us to be involved in planning future trips. For full project details, read Asia and Australia against coal and see our presentation Engaging with climate change by connecting with Asia.